People with Autism Spectrum Disorder are part of a distinctive group with common characteristics. 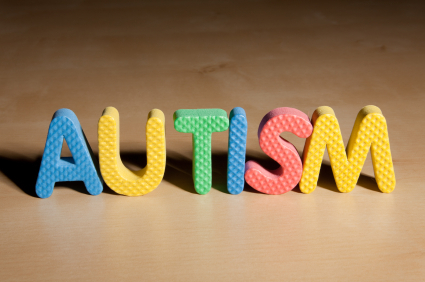 In order to assist individuals to learn and develop, it is crucial that those around them understand Autistic Spectrum Disorder and assist the individual to develop by providing structured teaching. This includes organising the physical environment and developing schedules and work systems which incorporate the use of visual material to make expectations clear and explicit. With regard to the physical environment, people with Autistic Spectrum Disorder perceive the world differently and many have difficulties making sense out of a lot of details. People with Autistic Spectrum Disorder first of all see the detail, and then try to get the meaning. It is therefore necessary to adapt the environment to suit each individual, to ensure that everything abstract (vague or theoretical e.g the concept of time) is made concrete and to ensure that structured teaching is carried out in the appropriate context. If too much stimulation (something that produces a reaction/response) is available, people with Autistic Spectrum Disorder are unable to grasp the meaning, particularly if stimuli change all the time. Consistency in the environment, approaches and positive routines may assist the young person to cope with daily living. When adapting the environment, it is important to clear work areas/rooms of any unnecessary stimuli in order to allow the individual to understand the task and focus on what is expected of him. • Have a need for consistency of approach and for environment and routines to remain unchanged. • Need flexibility to be specifically introduced. • Need visual supportive environment encouraged. • Have difficulty knowing how to spend time if it is unstructured. • Have difficulty understanding the need for social interaction. • Find it difficult to play imaginatively, e.g. use toys as objects. • Exhibit unusual or repetitive behaviours, such as spinning and head banging. • Have sensory processing difficulties which lead to an extremely high tolerance to heat and/or pain. • Be over sensitive and become overwhelmed by the noises of equipment or other people, smells and visual stimulation. • Not be aware of the consequences of actions or of danger. • Dislike going in a car and adaptive equipment may need to be considered in order to keep the child safe. • Have gross or fine motor difficulties e.g. find it difficult to manipulate objects. Cloete Occupational Therapy is a versatile practice, offering our expert skills to clients in need. An individual holistic approach is followed where we believe that through optimum intervention optimal results can be obtained.